Mel Parker is President and Chief Executive Officer of Take The Limits Off LLC, a business consulting company focused on leadership optimization, business transformation, executive coaching and talent management. Based out of Austin, TX, T.T.L.O. specializes in customized individual and team programs for clients in every industry and leaders at every level. Mel is the Former President of Brink’s North America. In this role, Mr. Parker oversaw the commercial and operational business of Brink’s in the United States and Canada, with approximately $1 billion in annual revenue and 11,000 employees. Before joining Brink’s in 2012, Mr. Parker served as Vice President and General Manager in the North America Consumer and Small Business organization at Dell. 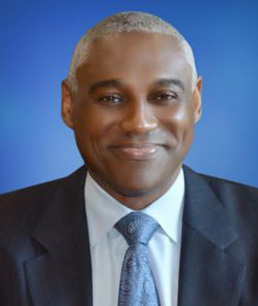 During more than 22 years in operations, sales and marketing, Mr. Parker has held numerous senior leadership roles such as Managing Director, Senior Vice President of Sales North America, Strategic Account Team Leader, General Manager and Brand Manager at multiple Fortune 500 Companies that include Corporate Express(Staples), Newell Rubbermaid and PepsiCo. Mr. Parker graduated from the United States Military Academy at West Point(NY) with a Bachelor of Science Degree in Computer Science. He is a decorated combat veteran that served with the 319th Airborne Field Artillery in the 82nd Airborne Division. During his service Mel attended Airborne School, Ranger School, Jumpmaster School and Airborne Operations School along with service in combat in Iraq and Kuwait during Operations Desert Storm and Desert Shield. Mel currently serves on the Board of Directors for Vectrus (NYSE: VEC). Vectrus delivers global infrastructure, IT and logistics services primarily to the Department of Defense. He is a member of the Executive Leadership Council, National Association of Corporate Directors and served on the Executive Advisory Board of Big Brothers/Big Sisters of Central Texas.